It’s not easy being a queen and more so, when you learn about it upon your ascension at the age of 18. From scandal, corruption, political intrigues to ushering in a new British government, there is an uphill task ahead. But one woman did it all with utmost confidence and integrity – Victoria. SonyLIV, India’s first premium video on demand (VOD) service, brings her fascinating story to life. Starting 10th April, the platform launches three new English shows to scale up their premium offering to consumers. Directed by Daisy Goodwin and starring well-known artists like Jenna Coleman, Adrian Schiller, and Jordan Walle, Victoria traces the queen’s journey from her younger days to her courtship and eventual marriage to Prince Albert. 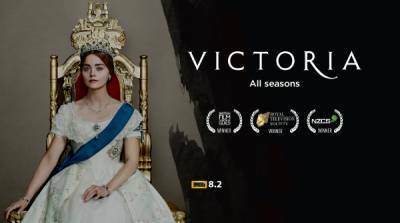 Rated 8.2 on IMDB, Victoria is a fine chronicle of the English monarchy coupled with vintage settings, elegant costumes and a story about how England evolved during the reign of Queen Victoria. Also, now streaming on the platform is season two of The Good Doctor and Counterpart. Post season 1, The Good Doctor carries forward the story of Dr. Shaun Murphy, striving to a make a name in an esteemed city hospital. Counterpart leaves the audience thrilled with the life traces of a hapless UN employee, who discovers the agency he works for is hiding a gateway to a parallel dimension. SonyLIV has over 100 English shows in its content repertoire to entertain the audience. Go ahead and start binge watching Victoria and Season 2 of The Good Doctor and Counterpart on SonyLIV this summer! These shows are available for viewing with a subscription fee of Rs 99/- per month and Rs 499/- per year.